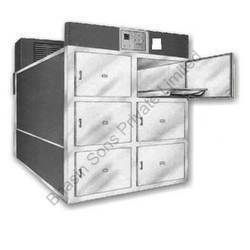 Our organization is involved in manufacturing and exporting a wide range of Mortuary Equipments around the globe. These products are made of high graded materials sourced from foremost vendors. All our products are saliently featured with reliable functionality and durability. All the products listed under this category are For 2 Body, For 3 Body, For 6 Body, Mortuary Body Lifter Trolley and Autopsy Table. 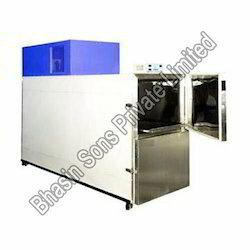 We at, bhasin sons private limited are engaged in manufacturing, exporting and wholesaling mortuary cabinet around the world. Our firm uses finest range of required raw materials for the manufacture of our products. We have designed our product in away to promote reliable usage. All hospitals and laboratories can be fitted with our products to get maximum usage in preserving dead bodies. Portable body and easy feeding in and taking out of bodies. 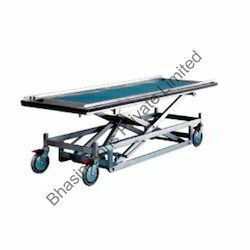 We hold the expertise in manufacturing, wholesaling and exporting Mortuary Body Lifter Trolley around the globe. Our products are manufactured using first-grade raw materials purchased from trust-worthy vendors. The entire products of us are featured with an elegant appearance, movable wheels at bottom, easy lifting knobs and washable body. These are mostly preferred in all mortuaries for lifting body. Our organization is involved in a wide range of manufacturing, exporting and wholesaling Autopsy Table around the world. We manufacture these products using top quality steel materials sourced from confidential vendors. These products are given extraordinary features, such as stunning designs, portable body, height adjustors, tool keeping box and advanced functionality. 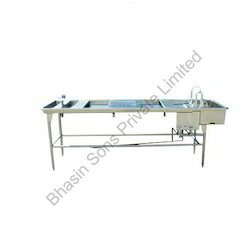 Our tables can be widely used in mortuary for autopsy of dead bodies in a sterile environment. Made of complete Stainless Steel. Commercial disposal trash masher highest strength. Our expert team allows us to manufacture and export leading products of Mortuary Cabinet for 2 Body. We use advanced equipment and machineries for the process of manufacturing our renowned products. These are manufactured using excellent steel and insulation materials procured from genuine vendors. The salient features of our product are temperature control facility, anti decay functioning, two separate trays for laying bodies and easy open close doors. These are of adequately used in hospitals for preserving dead bodies. With wide and industrial experience we are able to offer Mortuary Cabinet for 4 Body around the world. We produce these types of marvelous products using tremendous quality of raw materials sourced from foremost vendors. Our firm has featured this with movable wheels at the bottom, three separate cabins, chill motors at the back and lesser power consumption techniques. These are widely used in government and private hospitals. 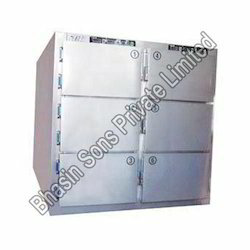 We at, bhasin sons private are engaged in manufacturing, wholesaling and exporting mortuary cabinet for 4 body. We manufacture our products with excellent grade of plastic and steel metals purchased from genuine vendors in the market. Our product are elegantly designed, highly durable, four separate layers and full insulation. These are tagged with cost-worthy rates and are in great demand in hospitals and laboratories. 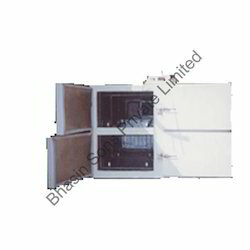 We at, Bhasin Sons Private are engaged in manufacturing, exporting and wholesaling Mortuary Cabinet for 6 Body around the world. Our firm uses optimum range of necessary raw materials for the manufacture of our products. We have designed our product in away to promote reliable usage. 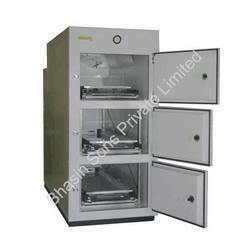 All hospitals and laboratories can be fitted with our products to get maximum usage in preserving dead bodies. easy feeding in and taking out of bodies. Looking for Mortuary Equipments ?